Merchants’ Choice Payment Solutions is a merchant account provider that, through a partnership with Elite Merchant Solutions, resells the products and services of Chase Paymentech. The company claims to be one of the top merchant acquirers in the U.S. with more than 60,000 merchants and over 1,000 partner banks in 17 states. Merchants’ Choice Payment Solutions also claims to process more than $14 billion dollars annually. The company also leases credit card terminals through First Data Global Leasing. Merchants’ Choice Payment Solutions’ products and services include credit card terminals, EBT processing, check conversion, check guarantee, pay-at-the-pump solutions, point-of-sale systems, and merchant cash advance. The company does not offer phone or email support information on its website, but it’s probably that a provider of tis purported size offers customer support through a larger backend processor. Todd Linden is the president and CEO of Merchants’ Choice Payment Solutions. 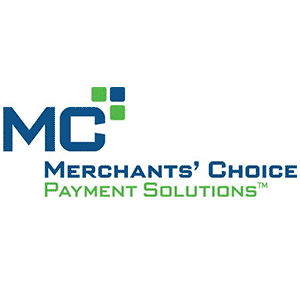 Merchants’ Choice Payment Solutions has received over 120 negative reviews in public forums, which have been posted at a regular pace year after year. Common complaints include deceptive sales tactics, large early termination fees, unreachable customer service, long-term equipment leases, and unauthorized debits. Of particular concern are multiple reports of “slamming,” a tactic whereby a processor poses as a merchant’s current processor in order to trick that merchant into signing a new contract with a new company. Merchants specifically claim that Merchants’ Choice representatives will call business owners and inform them that they need to update their PCI compliance immediately. This allegedly creates a false impression in the merchants’ minds that Merchants’ Choice is their current processor. The company has publicly denied that it misrepresents its identity, but it’s clear that some merchants are claiming that they were confused at the time of signing. There are no outstanding or recently resolved legal actions related to Merchants’ Choice Payment Solutions at this time. Yes they did it to us opened two new accounts to get fees and confused our cash flow collections cost us several hundred dollars to change and fix what they had done. Anyone interested in a class action lawsuit contact us we will join. Do Not Use This company. Square is better faster easier cost about the same considering all the extra fees and add ons but very easy no equipment needed. I have been signed up since May 6th and they still can not get me connected to do credit cards, John Lund was the sales person< he told me my first data pos would be easy to hook up, Now im finding that this is not the truth,. I told him on the phone that this would be the only way I would change prossesors and he promised this would work. I think he was just trying to get a sale and did not care if it worked or not. My next move will be to call the better BBB and the attorney general and ask the to look into the and help me.As far as I'mn concern you folks have burned me. Taking money out of my account and Im not even on your sysem yet. Very upset with your Sales person, Maybe you should listen to the recording of how he screws people over to sign them up, also listen to the recording of our conversation? ?